If pharmaceuticals make you leery and you find the idea of natural medicine compelling, you might consider naturopathic medicine for your medical needs. As a naturopathic physician, Dr. Borislava Johnson provides holistic assessment plans that incorporate herbal and botanical remedies. 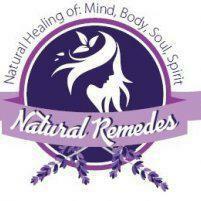 If conventional medicine isn’t working for you, try Natural Remedes. Use the online scheduler or call us if you're in the Cypress and Northwest Houston, Texas area to book your first appointment. Natural medicines are effective substances from nature that support your body’s healing process. The medicinal properties of plants, herbs, and other natural ingredients can aid a variety of diseases. Herbal and botanical medicine is an effective alternative to synthetic drugs. Dr. Johnson has significant training and experience using thousands of natural remedies to treat a variety of ailments and promote overall health. What conditions do you treat with botanical and herbal medicines? Thousands of natural remedies are available to address a significant number of health conditions, from the common cold to chronic diseases. For example, Dr. Johnson may suggest medications containing antiviral ingredients — such as elderberry or echinacea — for the cold and flu season. How do you determine courses of treatment? Before providing assessments, Dr. Johnson performs an initial in-depth consultation to learn more about you. She asks detailed questions about your medical history, ailments, symptom triggers, and overall health at your initial visit. She may also request lab tests and other assessments to provide additional details about your health. As a naturopathic physician, Dr. Johnson believes in addressing the whole person and the underlying cause of any condition, not just its symptoms. By delving deeper into your personal history, she can tailor an effective program for you. At follow-up visits, Dr. Johnson assesses your progress and the effectiveness of lifestyle changes. She can make adjustments based on your feedback and results. Are natural medicines a comprehensive treatment plan? Natural medicines are just one facet of your multi-layered individualized plan; herbs and botanicals can support your journey to wellness. Dr. Johnson also recommends implementing lifestyle changes, nutritional strategies, physical therapies, and other methods to improve your health. While some conditions require a single, minimal dose, others require ongoing supplementation. Natural remedies help you manage chronic conditions like autoimmune disorders and diabetes, which have no known cures. Call the Cypress, Texas clinic or use the online booking option to set up your initial consultation with Dr. Johnson.